The U.S. government has charged and sanctioned a North Korean man in the 2017 global WannaCry ransomware cyber attack and the 2014 cyber assault on Sony. 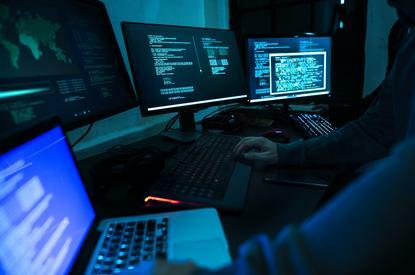 The charges, part of a strategy by the U.S. government to deter future cyber attacks by naming and shaming the alleged perpetrators, also alleged that the North Korean hacker broke into the central bank of Bangladesh in 2016, according to a criminal complaint. Park Jin Hyok worked as part of a team of hackers, also known as the Lazarus Group, to try to breach multiple other U.S. businesses, according to the complaint. In 2016 and 2017, Park's targets included defence contractor Lockheed Martin. The complaint said there was no evidence Lockheed was breached. The U.S. Treasury Department has imposed sanctions against Park and the Chinese-based front company he worked for, Chosun Expo. The North Korean mission to the United Nations did not immediately respond to a request for comment. In 2014, U.S. officials said unnamed North Korean hackers were responsible for a major cyber intrusion into Sony, which resulted in leaked internal documents and data being destroyed. The attacks came after Pyongyang sent a letter to the United Nations, demanding that Sony not move forward with the movie "The Interview" that portrayed the U.S.-backed assassination of a character made to look like North Korean leader Kim Jong Un. Park used a series of online personas for social media platforms, including on Facebook and Twitter, to send malicious links to individuals involved in the production of "The Interview," the complaint said. The malicious links carried North Korean-controlled malware. In November 2014, Park allegedly launched the same style social media-focused attack against employees of AMC Theatres. The movie theatre chain in some cases delayed or canceled screenings of "The Interview" nationwide, Variety at the time reported. The complaint said there was no evidence AMC Theatres was breached. Last year, the WannaCry ransomware attack affected thousands of businesses across the globe through a computer virus that encrypted files on affected systems, including Britain's National Health Service, where nonfunctional computer systems forced the cancellation of thousands of appointments. John Demers, the Assistant Attorney General of the National Security Division, said on Thursday that this marks the first time the U.S. Justice Department has formally charged a hacker in connection with cyber crimes "sponsored" by the North Korean government. "The department has charged, arrested and imprisoned hackers working for the governments of China, Russia and Iran. Today, we add the North Korean regime to our list, completing frankly four out of four of our principle adversaries in cyberspace." A senior Justice Department official said a criminal investigation into Park and his accomplices was still ongoing. There has been no communication between the U.S. and North Korean government about a possible extradition, the official said. No North Korean government officials were referenced in the complaint by name, though it does allege the government sponsored the attacks. The complaint was filed under seal on 8 June, just days before a historic summit in Singapore between U.S. President Donald Trump and North Korean leader Kim Jong Un.